Herons Rise01263 715779work01603 870304fax Self-cateringThis quaint semi-detached bungalow sits in a picturesque elevated wood next to Weybourne Hall Park. Only a short stroll from the beach, this property enjoys a tasteful interior decoration with comfortable pine furniture and modern utilities. Activities such as walking, cycling, fishing and bird watching are all commonly enjoyed in this area of Norfolk. 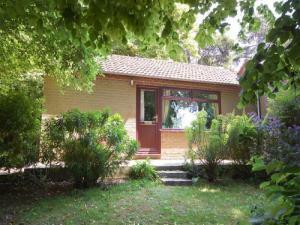 This quaint semi-detached bungalow sits in a picturesque elevated wood next to Weybourne Hall Park. Only a short stroll from the beach, this property enjoys a tasteful interior decoration with comfortable pine furniture and modern utilities. Activities such as walking, cycling, fishing and bird watching are all commonly enjoyed in this area of Norfolk.